They are now seeing more starving children and infants than ever. Pictures of Kleiver’s coffin begin carried to her funeral procession. Her new campaign was posted up on Thursday and has already passed the first landmark of $50 and on it's way to hitting the second. Here is her first post. My name is Morgan, I am 16. 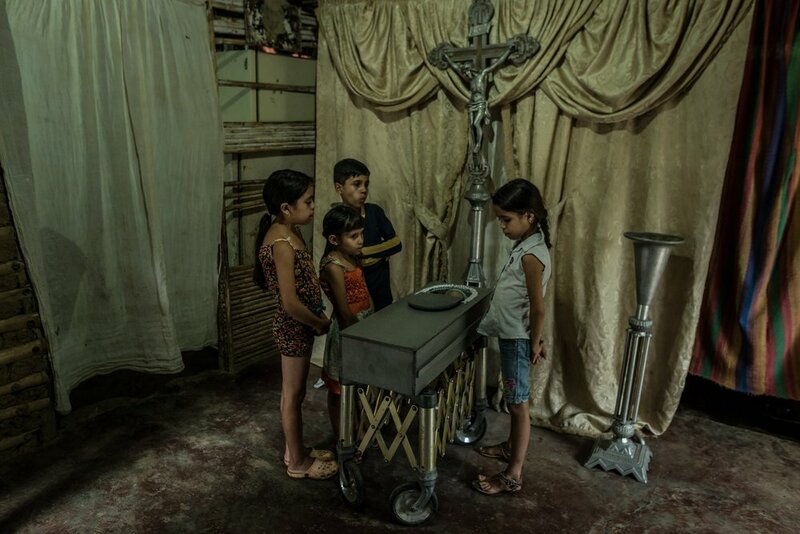 I have started the Saving the Starving campaign to raise money and bring awareness to the devastating hunger, and starvation killing children in Venezuela. The crisis has been going on the last few years due to the economy collapsing, but the government has ignored, and even tried to cover up the deaths of thousand of children due to malnutrition. It is time for people to know the truth, and for these families to receive the help they need! So please join me in my campaign and help stop hunger in Venezuela. So gaming for good is a real thing. We are beginning to understand that as group we have can make a difference to positively can change the world. This is being done by just picking up your phone and playing games. A recent study looks at phone usage. Those between the ages of 18 and 24 look at their phones most often, with an average of 74 checks per day. Americans in the 25-34 age bracket look at their devices 50 times per day, and those between 35 and 44 do so 35 times each day. If you look at your phone this much, and if you spent just 10 minutes of that time playing games how much of a difference could you make? Answer this... if you could be using your phone to do something that can positively change lives? Would you start today? Mobile games to crowdfund campaigns and raise money is the wave of the future, or at least we think it is. Join us in our fight. We at www.BeeTheSwarm.com provide you with the first step to helping real people, making a difference, one bee at a time. Play games, do good, and have fun while doing it. Morgan's campaign is up and earning bees by the second. Be part of the swarm.